Dr Gary Wu is certified to provide facial rejuvenation with anti-wrinkle injections and is a large provider of botox Stoke on Trent. He has been extensively trained in this field by Mr Taimur Shoaib who is a Consultant Plastic Surgeon in Glasgow and has over 10 years of clinical experience. Unlike some practitioners, Dr Gary Wu is able to perform many advanced botox procedures due to his expertise in the head and neck region and also from his advanced training. Botulinum Toxin (popularly known as Botox®, Azzalure and Bocouture) is a protein that helps stop muscles contracting. Small painless injections into the facial muscles will help keep these muscles relaxed and soften facial lines. 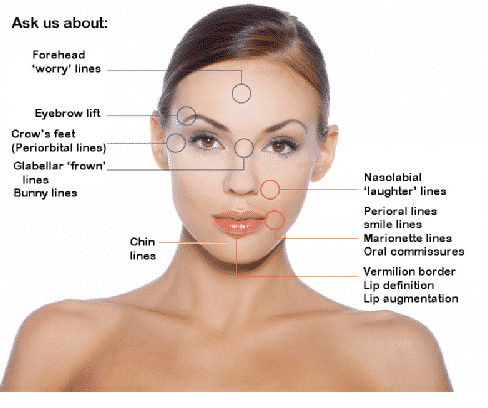 Botox is a safe and virtually pain free non-surgical wrinkle reduction technique. It has the advantage that treatment times are on average 5-15 minutes, and prices are dramatically lower than that of the equivalent surgery. Anti-Wrinkle injections (Botox®) are amongst the most popular non-surgical treatment in Stoke on Trent and the UK because of their effectiveness and comfort with immediate results. When combined with dermal fillers, you can have a non-surgical facelift at a fraction of the cost of surgery. Why choose Kidsgrove Dental & Implant Centre for Botox? We have over 10 years of experience providing treatment for hundreds of patients. Usually botox takes about a week to notice the effects. The full effect should have taken place by the end of the second week. Do anti-wrinkle injectables prevent ageing? All anti-wrinkle injectables such as Botox are administered by Dr Gary Wu. He has received extensive training within this field and provided this treatment for the last 10 years. We also use botox for teeth clenching and jawline reduction and excessive underarm sweating. Botox has been used medically for over two decades with a proven track record. The dosage we use for facial rejuvenation is very low therefore the level of safety is extremely high. 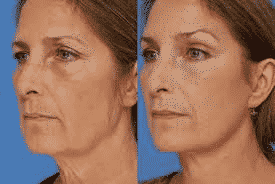 An experienced practitioner would know the facial anatomy and know specific areas to target. How long does the results last for? It depends on the individual and the area treated. On average, btx lasts approximately for 3 to 6 months. You will experience a gradual gain in muscle movement over this period. After several painless injections, however, most people find that the effects persist for longer. Your treatment will be carefully monitored, and the interval between treatments adjusted accordingly. 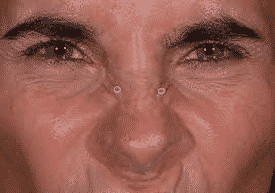 These lines refer to the vertical lines that develop between the eyebrows. These lines can give an angry appearance. 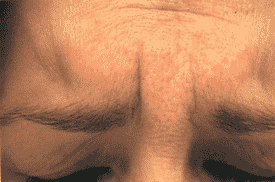 The forehead lines refer to the horizontal lines that develop above the eyebrows. The crow’s feet refer to the lines that develop around the sides of the eyes. 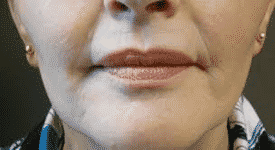 The lip lines develop vertically from the nose to the upper lip border. 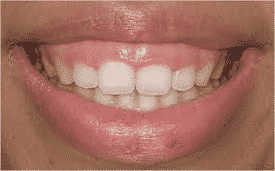 A gummy smile describes when an increased amount of gum is exposed when smiling. 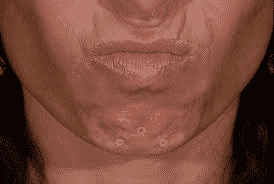 Over time the corner of the mouth can turn down and the marionette lines can become more pronounced. A small amount of botox can lift the tail of the eyebrow slightly. This can reduce the tired look on your eyes. 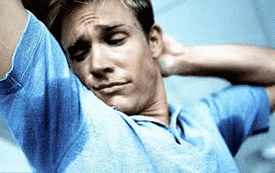 Underarm excessive sweating or hyperhidrosis and sweating of the forehead are common problems for men and women and are estimated to affect 1-2% of the UK population. Expect results to last between 6-12 months. 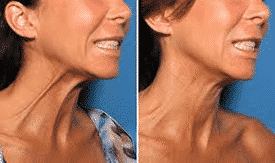 As the skin under the neck loses its elasticity and thickness, the muscles underneath can become very prominent, which is more prominent in older slim women, botox is very effective in reducing this threaded appearance. Your chin can produce a cobbled dotted appearance when you smirk. 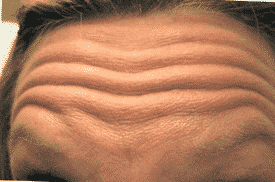 Botox is very effective in this area.